Before i start talking about all the different ways you can use to make money online i should first answer an even more important question. A very popular question i see people asking in forums and in social media all the time. Can Everyone Make Money Online? And the answer is… Yes. I know how that sounds. Like something, a scammer would say. And that it is true. That’s what online scammers often tell people to convince them to buy a product. But there is a difference. A big difference. I am not saying it’s easy or that you will make thousands of $ from the first month or that no skills are required. All i am saying is that it is possible to make money online. That’s all. And yes it is possible for everyone to make money online. There is no doubt there are plenty of legitimate ways to do that. But they all require work and a considerable amount of effort before a return on your time. But that also means it is totally up to you if you will succeed online or not. When it comes to making money online the possibilities are endless. Starting an online business was never easier. It doesn’t matter where you live or if you know nothing about website design and development. As long as you have an Internet connection you can make money online. What really matters is if you are willing to learn how to make money online. And you must also accept that making mistakes, failing and going back to the drawing board is normal. The road to success is not a straight line. But the good news is legitimate online opportunities require a very small upfront investment or even nothing at all. So, starting an online business is a win-win situation. And in case you are not interested in building an online business, it doesn’t mean you should give up or that making money online is not for you. 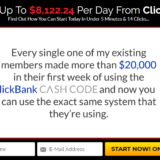 If you just want to earn some extra cash i suggest you keep reading because i do reveal a number of legitimate websites that actually pay people. Don’t worry there are no scams here. How Can I Make Money Online From Home? Making money online is a lot more common than you think. All the methods described here work and i have no doubts it is something everyone can do. Of course, knowledge and certain skills are required especially if you don’t just want to earn a few dollars but you are more interested in creating a passive income. In my opinion, that’s exactly what you should be doing. The online world gives you that opportunity. You should take it. As for the skills you need to have that shouldn’t scare you. There are plenty of ways you can acquire them. Although you can only truly learn by trying. Practice makes perfect. The most important thing you need to have is the will to learn and succeed. No one was born knowing how to make money online or how to build a profitable website. They all learned by working hard and consistently. Luck has nothing to do with succeeding online. For me is the best way to make money online. Everyone can do it. And i really mean everyone. Affiliate marketing is simply selling other people or companies products. You don’t have to create your own products and you also don’t have to worry about shipping, logistics, customer service etc. You don’t even have to worry about the transaction itself. Because that will not take place on your site but on the company’s website. Customers click on your affiliate link and are automatically directed to the company’s site to complete the transaction. And you earn a commission for every sale. You are basically the middleman. Your job as an affiliate marketer is to connect the potential customers (your target audience) with the right products. In essence, you are offering solutions to your audience’s problems. People are looking online for information and to fulfill a need or a desire. You as an affiliate marketer have to offer them products and services that will do exactly that. Make their life easier and solve their problems. There are many ways you can do that. Create a website, a blog, an e-commerce store, landing pages, paid ads, videos, banner ads etc. Or combine the above ways in any way you want. It’s totally up to you. As long as it works for you and your audience likes it. The key is to build a loyal audience. Finding products to promote is not a problem. Almost every large company today has its own affiliate program. You can also join affiliate networks like ShareASale, Commission Junction, ClickBank and source products. And don’t forget about Amazon where you can find almost everything. Make no mistake though affiliate marketing is not a walk in the park. In order to make money, you must have traffic coming to your site. That is not an easy thing to do and yes it takes time. Affiliate marketing is definitely not a get-rich-quick-scheme. But at the same time, anything worth doing in life takes time and effort. 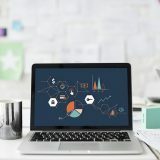 Succeeding in affiliate marketing requires understanding how to identify a profitable market, target the right audience, engage with your audience, get your marketing message across, what your audience is looking for, how much they are willing to spend, how and also why they are shopping online. You must figure out what is they are looking for and become a reliable source of valuable and useful information. So it’s not just about driving traffic to your site. Communication is the number one skill you need to master if you want to earn money with affiliate marketing. All these might sound intimidating and very difficult to do but they are not if you can organize your efforts and focus on doing one thing at the time. Plus the amount of income you can make with affiliate marketing leaves no doubt that this is something worth trying. Plenty of people tried affiliate marketing and never looked back. The question is not if affiliate marketing works or not but whether or not you can make affiliate marketing work for you. The online world is a very competitive one. You don’t want to make things more difficult for yourself than already are. There is no need to go up against authority sites and huge eCommerce stores that dominate the search engine results. It will take you forever to make it to the first page of Google. What you need to do is to carefully choose your niche. The online world is also full of opportunities. You may have heard the term “niching down” before. Or maybe not. It doesn’t matter. A niche is simply a group of people sharing the same interests. In other words your target audience. You don’t want to pick an unclear or a broad niche. It will be difficult to stand out from the rest. In every niche, there are smaller subgroups (sub-niches) of people. It is a lot easier to become the go-to expert in those smaller niches and dominate the market. For example, Sports is a huge niche. The competition is fierce and you would have to build a massive website to rank high in Google. But English Premier League is a much smaller niche and easier to rank for and make sales. Of course, your target audience will be smaller but once you become an authority in that subgroup making sales will be easy. You can always expand later. You can pick any niche you want. You don’t have to be an expert to enter a niche. Or at least not from the start. You also don’t have to become the worlds leading expert on the topic to build a successful niche site. And definitely, you don’t have to pretend you are an expert when you are not. What you must have though is passion about your niche and the desire to search and learn more about it. Otherwise, pretty soon you will get bored and give up. The necessary knowledge and expertise you need to obtain depend on the level of your target audience. Before choosing your niche take a look at Google Trends and in Amazon to find hot markets and what is selling at the moment. Pick a niche that attracts a lot of people and go for it. If you choose niche marketing to make money online you will obviously need a presence online. Most likely a website. But that shouldn’t scare you because creating your own website today is very easy. No coding skills are required. With platforms like WordPress, you can create a site in a few minutes. Niche marketing doesn’t necessarily mean selling other people’s products. You could choose a niche where you could sell your own products or services. 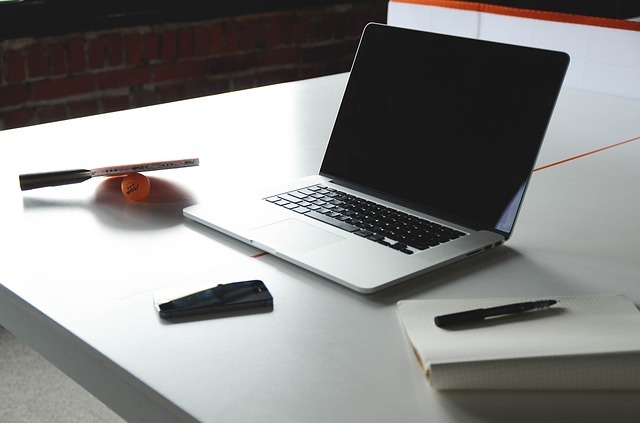 Freelancing is one of the most popular ways to make money online. Millions of people are working as freelancers online. Offering your skills and expertise online is not a way to create a passive income but it is still a great way to generate an income. Needless to say for many people working online freelancing is their “9 to 5 job” and their main source of income. 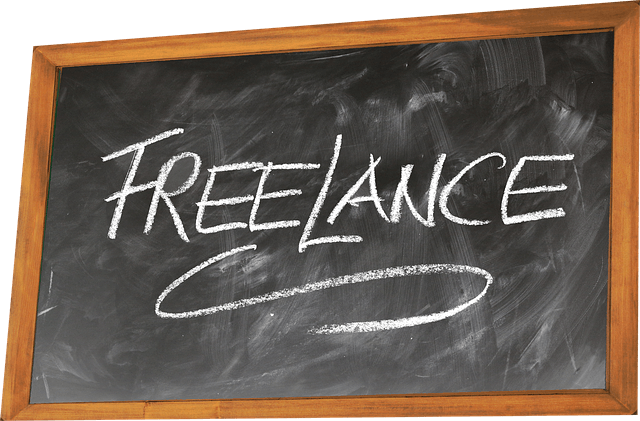 Obviously, if you wish to make money as a freelancer you must have the necessary skills required. You won’t make any money if you can’t do the job they hired you to do. The good news is people are hiring freelancers for almost everything. Join a freelance site like Upwork, Fivver, Freelancer, Sologig, Simply Hired, Flexjobs, Guru, iFreelance and start looking for jobs. 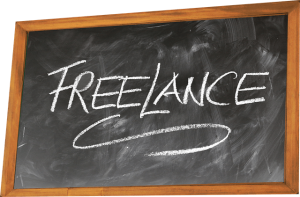 The freelance sites mentioned above act like a marketplace that brings freelancers and employers in touch usually for a small commission. Of course, the competition is tough and you will have to build a strong portfolio if you want to go after the big projects. The key (in my humble opinion) is to offer a professional high-quality service at a very reasonable price. Things will be difficult in the beginning until you make a name for yourself. But once people realize they can trust you things will improve. Another positive thing working as a freelancer is that you don’t have to build a website, a blog or anything like that. Although in some cases that helps. It is also pretty common for people that don’t have any “special” qualifications like graphic designing, web design, marketing, IT consulting etc to work as freelance writers. There is and probably will always be work available online for content writers. If you like writing and you are good at it earning a full-time income from it is highly likely. But if you are not a fan of it i suggest looking for something else. Like i said before almost all services are in demand for freelancers. Starting a blog was and still is one of the best ways to make money online. The list would be incomplete without mentioning blogging. Do you remember when we talked about creating passive income online? Well, launching a blog is definitely a step towards achieving that goal. There are many people who earn a 6 figure income every month thanks to their blog. Of course, like with everything else in life in order to become a successful blogger, you must love it. Publishing valuable content on a regular basis is not an easy thing to do but it is necessary. Attracting new readers and keeping existing readers coming back for more requires a lot of hard work and discipline. The most common question every aspiring blogger asks is “How long does it take to make money blogging?” Although there is no straight answer to that question (too many factors involved) you shouldn’t expect to see any real results right away. Building authority and becoming popular in your niche takes time. Working consistently for a year or even two is considered pretty normal in the blogging world. Yes, you read that right. That’s how long it could take. Now that you managed to get people’s attention and increase your traffic it’s time to monetize your blog. There are many ways to do that. Most people at that point only think about using Google AdSense and affiliate marketing. But there are also other methods you could use. Before i list them down i would like to mention something first. Making money from ads (and i mean a considerable amount of money) you need thousands of people visiting your blog every day. Create your own products. It can be anything. From eBooks and courses to online training lessons. Anything you want. They don’t necessarily have to be digital products. You could also promote your own physical products. As long as your readers like them you will make sales. The key is to offer valuable products at prices they can afford. Sell your skills. Use your blog as a promotional tool and sell a paid service. It must be something you are already good at it and you can charge people for. For example building websites, financial planning, social media marketing etc. Don’t pretend to be a professional in something if you are not. That’s a bad idea and it never works. After all, people must trust you in order to purchase your services. Paid membership. That is a method a lot of bloggers use. Usually, a part (sometimes even all) of their content is available only to paid members. That exclusive content must obviously be something people can’t find online for free. In order to do that successfully, you must first establish yourself as an authority in your niche. You must become the go-to expert and have a very popular blog. Sponsored posts. Another popular method successful bloggers (and vloggers) use to earn money. Again you must first build a very popular blog that attracts a lot of visitors on a daily basis. If you manage to do that (it’s not easy i agree) the chances are companies will contact you first to publish posts and reviews about their products or services. The key is not to get carried away and start selling your blog’s integrity to the highest bidder. You don’t want to lose your readers trust. In case you want to completely avoid the fuss of starting a blog or an eCommerce store but you are still interested in selling your own stuff there is a way. You can use platforms that have already done most of the work for you. You can set up your own online shop without having to build a website or having to worry about customer service, online payments, shipping etc. Of course, using their services is not free. Usually, you will have to pay a monthly price or fees. Etsy. If you are interested in arts and crafts creating a store on Etsy sounds like a good idea. Signing up is free and setting up your online store on Etsy’s website is pretty easy. They process payments for you and guarantee the safety of your shop. The transaction fee is 3.5% for every sale you make. There is also a payment processing fee and a listing fee. But nothing you should worry too much about. At least in my opinion. Amazon (FBA). You could start selling on Amazon without having to create a website on your own. FBA stands for ‘Fulfilled By Amazon’ and they basically do everything for you. They store, pick, pack and ship your products. All you have to do is buy products and ship them to Amazon. They also provide customer service for your products. You don’t have to worry about that either. Then they send you your money. Of course, they charge a commission for every unit you sell but look at the bright side. You don’t have to handle the products yourself. This is a form of drop-shipping and plenty of people have successfully used their system. If you want to learn more about how Amazon FBA works and how to make money with it i suggest taking a look at this guide from Jungle Scout. Their post explains perfectly how to sell on Amazon FBA. Shopify. According to many online marketers, Shopify is one of the best platforms to build your own eCommerce store. 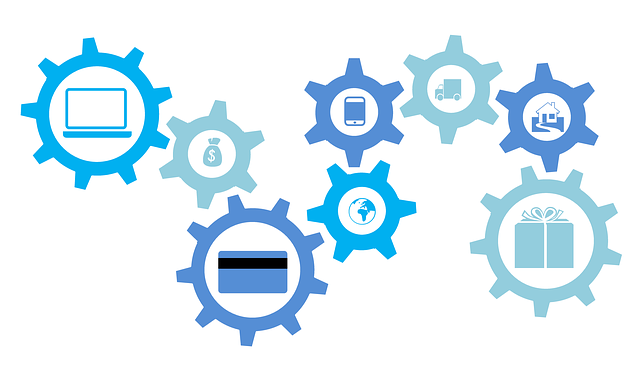 They handle most of the things for you like shipping, payments etc. Setting up a store on Shopify will cost you $29 per month (the cheapest membership) or even up to $299 per month. eBay. Some people are of the opinion that eBay is old-fashioned and not worth your time and effort anymore. But i am not of those people. Starting an eBay store is a relatively simple process and you don’t necessarily have to sell your own products. You could sign up with a drop-shipping company that will store and ship products for you and you could sell those products through your eBay store. No matter what you choose you will almost certainly need a PayPal account. My advice is before signing up for anything to take your time and do your own research first about how you can best use the platforms mentioned above. Choose the one that suits your needs best and you like the most. Now in case, you are not interested in starting a blog, building your own website or an eCommerce store and you just want to earn a few extra dollars on the side don’t worry. Below is a list of websites that will pay you for completing a variety of tasks. They are all legitimate websites that do pay. But you need to remember this is a way of earning some extra cash. Not a way for creating a passive income. Also, you won’t become a millionaire or anything like that. But making a good amount of extra income for yourself is entirely possible. User Testing. Instead of just surfing the net in your spare time you could get paid reviewing websites and apps. The payment is $10 per test and each test takes about 15-20 minutes to complete. You have to complete a set of tasks (nothing complicated) and record your feedback. Web site owners want to see what others think about their website and they are willing to pay for that. And you can make money by testing their sites. You must be over 18 years old and speak English. They only pay via PayPal. Leap Force. Basically, you will be evaluating search engine results. And specifically, if the search results match up well with the search terms.To get hired you are required to pass a three-part qualification exam. Not the easiest thing to do but the money is pretty good if you get the job. InboxDollars. Similar to Swagbucks they offer a variety of simple ways to make money online. Surveys, surfing the web, shopping online etc. If you are interested in surveys you can also try Toluna, Global Test Market, PaidSurveys, Survey Club. Listverse. Strictly for writers though. If you are good at writing, well they pay $100 for each post. But they don’t accept any post. There are certain rules you must follow. Your post must be a list of 10 things (at least) and minimum 1,800 words. The good thing is there are not so many restrictions on what your post should be. For some people, this is easy money. For me better start your own blog. Clickworker. Plenty of things you can do to earn some money. And they are not that difficult. Things like completing surveys, proofreading, data entry, web research, writing texts about a specific topic. You are paid in cash via PayPal. Mechanical Turk. It is a platform owned by Amazon where you can get paid for completing various microtasks. They call them HITS and they are not that difficult to do. Things like image processing, transcription, translation, data processing, writing content etc. Making money online is definitely possible. As you can see there are many methods to choose from. But no matter what you decide to do you need to understand that earning a significant amount of money online requires hard work. And you must also embrace the ‘pain’ that comes with it. Working from home and making money online sounds like an amazing idea. And it really is. But most people only focus on the money they will earn and they forget about what it takes to do that. And when the reality of the online world hit us all and we realize that things are not that easy everything comes crashing down. That’s the moment most people give up on trying to earn an income online. What i am trying to say is don’t just focus on the destination but also think about the journey. Because is not an easy one. But when there is will there is always a way. Pick something you like and go for it. Better focus on creating passive income streams and always keep learning more and more about online business and marketing. Do you want to learn more about the power of affiliate marketing and how to use it? 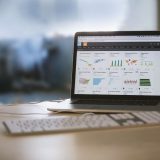 How to build an affiliate website? How to start an online business? Click the link below and learn how to create a profitable online business. Leave a comment below and share your ideas and opinions with us. And if you like this post share it with your social media followers. Yeah i like the passion behind this, your topic how can i make online. Your post is very knowledgeable and i have learn some new things about making money online the legit way. The niche marketing you talk about is very precise and straightforward. the working from home companies is good but the money paid by site like swagbucks and clickworker pays penny according to your region but we that are from this region don’t enjoy using such survey websites. I think i have just give-off using such survey sites. Thank for your nice comment. I am glad you liked my post. I agree with you that survey sites and other similar work from home websites don’t pay much. You will have to complete a lot of these microtasks to make some decent money. Starting your own business online is a much better choice. I loved this post! I recently got into blogging & Niche marketing! I’m going to subscribe! Niche marketing is a great way to make money online. 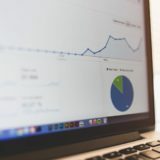 Thank you kindly for creating and sharing this VERY detailed article in regards to how to make money online, it is absolutely appreciated, thanks. I find in absolutely wonderful and to be honest liberating just how many different ways there are currently to make money thanks to the internet. I am sure in the future there will more to be added. It just goes to confirm my own thoughts and beliefs that absolutely everyone can make a living online. first of all this is amazing post and informative. have you any other your article where you tell me How to start affiliate or niche marketing, Please. If you want to learn more about affiliate marketing and start your own business i can suggest the following 3 training courses. Thank you very much Nikos. you are great, i try to complete these course one by one. Thanks For The Nice Article And Great Information. This was a great article! I am trying to do a mix of #1, 2, and 4 right now. I’m still new, but I’m so excited about it. I learned a lot from this article, thank you for taking the time to put it together. I hope to write some eBooks someday. I’m not getting nearly enough traffic right now to worry about that yet, though. Still thinking of topics. I like to plan and dream! I just wanted to comment and thank you for taking the time to put together all that information for people like me looking for online money-making opportunities. There is so much info on there, it will take me a while to go through it all and decide which ones are for me. I did follow your link about setting up an online Affiliate Marketing business with Wealthy Affiliate. That one actually sounds like it would be right up my alley because blogging and sharing information is definitely what I enjoy. I think having the support and the website builder and tools would help alot with getting people to the site because it would look so professional. Anyway, thanks for the great work on putting this all together. Wealthy Affiliate is a great place to start your journey as an affiliate marketer. All the tools and training you will need to build an affiliate business are there. I really enjoyed this blog post. It reminded me that there are so many ways to make money online. I think the trick to it is to focus on one way, master it, and then add another method or stream of income. I am a big believer of not putting all of your eggs into one basket. I have been making money (equal to my former corporate salary) through Amazon FBA for the past 5 years now. You are right in stating that to sell as a third party seller on one of these established platforms is not free. Last year alone I paid Amazon around $130.000 to have them handle customer fulfillment and custom service for me. I am now looking at adding more income streams through blogging/affiliate marketing. I will also be looking into Mechanical Turk. I have never heard of that before. I also believe focusing on one method at a time is the way to go. Otherwise you risk overcomplicating things. Thank you for the post. I like to make money online because i need extra money to use in my daily life.I am happy that you mentioned some trustable sites which help to earn money through easy tasks. I always fear scammers but i think your review is good and none of the cited sites is scam.I prefered Swagbucks. I’ve really enjoyed reading this article on “How Can I Make Money Online” as you’ve provided us with lots of useful information. From my perspective and from my own experience, I tend to think that Affiliate Marketing is certainly one of the best ways in making money online. One must we able to invest time, effort and money in order to make passive income online. I loved the fact that you made things really easy to understand in this blog post. Thank you for taking your time in writing this article. Keep up the good work NIKOS! Your post drew me in because this question (how can I make money online?) was my burning question for a long time. You have some great suggestions here. I can tell you that blogging and affiliate marketing is what ultimately worked me. I started my blog about 2.5 years ago and I’ve never looked back. I can confirm it takes passion and persistence but if I can do it anyone can. Naturally, beginners will need some training. I would recommend that folks check out the 3 online training programs you’ve recommended, choose the program that works best for them. and take action. Great job! Thanks for sharing your thought. It’s really helped me to become a freelancer. I have learned your post from a few weeks. And start a blog and trying to earn from there. Also helping people to become a freelancer. Nice Informative and lovely article. I enjoyed reading it. Great work. Making money online is something everyone can do and succeed in if they are willing to invest their time, resources and put in the hardwork. People need to stop looking for get rich quick schemes if they want to make some decent income. I have recently started affiliate marketing and I will soon try out dropshipping. I believe that Wealthy Affiliate is a great place to start for anyone wanting to learn Online marketing and business. They are one of the legit companies out there. All the ways you have listed are completely legit and doable in most countries as that was one of the hardships I came across. A lot of methods were not accessible in my country. Finally thanks for the post, it was a great read. This is a good article, thank you for sharing. I got some ideas to help with my situation. A quick question. When choosing to become a freelance worker online, what would you say is some way you could establish your self with a community like Upwork, Fivver, or Freelancer? I believe I’ve seen people offering services for $5. You mentioned offing a high-quality product at a lower price. What other examples could you offer me? One of the most important things you need to remember about freelancing is that work won’t come to you. You have to fight for it. First of all, create a profile that stands out. Creating an introduction video can help a lot. Your profile is your first impression. 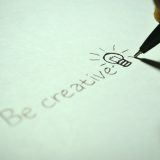 So, create an awesome profile. Don’t be afraid to promote yourself. Describe your skills and the problems you solve. If you have much experience in your field think about offering your services for free at first. Finally, Believe in yourself and don’t get discouraged. The first year is usually the most difficult one. Your review was classic and I love that. Obviously, there are certainly a lot of means to earn money on the internet and one could easily succeed in doing so when enough effort is put into work. The platforms that people work to make money online are numerous but as concerns affiliate marketing, I simply choose to run it with Wealthy Affiliate platform. You have written lots of helpful article which encouraged lots of people about affliate marketing. Because you’ve done a thorough review, i am very keen about how i can also earn from online marketing. I want to earn money by online marketing. Is there any future for me? i am very much interested about it. I am bookmarking your article to share with friends. Thanks for your articles. Of course, there is. Everyone can become a successful online marketer as long as they are willing to work hard for it. There are no secrets to online marketing success just hard work and dedecation. These are all great ways of making money online, but out of the 5 suggestions you have enumerated, my preferred method is affiliate marketing. I started 3 years ago, and although the first 2 years were not as productive as they could have been, I still prefer this method because of the fact that you get what you put in. In the last year, I decided to change niche and I worked intensively(but part time since I still have my full-time job for now), and I have seen myself finally making it! I now have a profitable online business and it’s all because of the training received from the same platform that you suggest in your article. Wealthy Affiliate has shown me how to be successful with the step-by-step training and the community support I also get! If I can do, anyone can. I can really confirm that Wealthy Affiliate works! I agree with you that affiliate marketing is a great way to make money online and it is also my favorite way too. And you are absolutely right to say you get what you put in. It takes hard work and dedication but it is totally up to you if you will succeed or not. Great blog, I really appreciate drop shipping as a way of earning easy cash online. In regards to affiliate marketing, I seem to find it a little bit of a longer-term method of making money, whereas dropshipping is more instant I would say. Then returning into some profit margins of up to 1000%+. If you have a strategy on affiliate marketing I would be more than keen to read it and maybe see if it would work out any good. I agree with you that making money online with affiliate marketing takes time. It is not a get-rich-quick scheme but it is worth doing. Because making money as an affiliate marketer depends on your skills and your determination. Plus it is a booming industry and once you manage to create one profitable affiliate business you can repeat the process again and again. Take a look at the following 10 Affiliate Marketing Strategies For Success. They helped me and i believe they can help you too. Great tips, I definitely needed to read this. I think I will just dive into the world of blogging as soon as possible. Great post ever on make money online. I just finished this post. Thanks for this excellent post NIKOS. 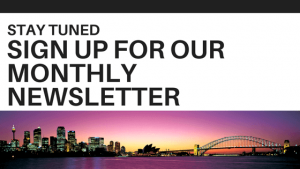 Next story Easy 1Up Review – Is It A Legit Opportunity?